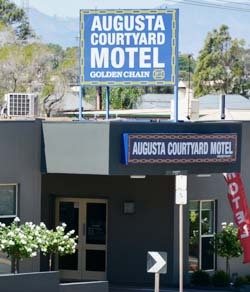 The Augusta Courtyard Motel is on the main highway in Port Augusta, which is approx. 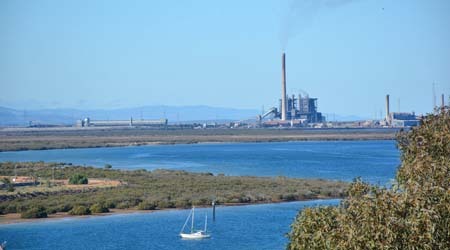 300km north of Adelaide, based at the foothills of the Flinders Ranges. 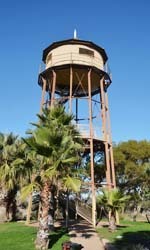 We are a major stopover point before heading west toward the Nullabor, or north towards Coober Pedy, Alice Springs, etc. 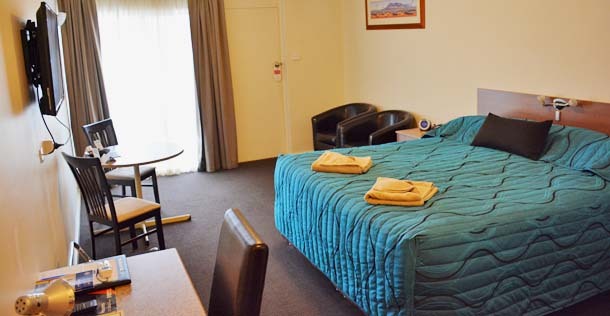 We are conveniently located on the Eyre Highway, 4 minutes walk to restaurant and Stateliner bus depot, 15 minute walk to CBD, 5 minutes drive to Golf course, close to airport and El Alamein army base. 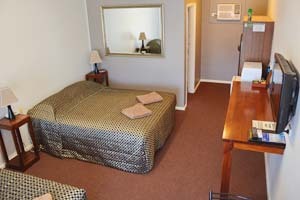 Our motel consists of 22 ground floor units, from standard twins, to our spacious studio apartment. All of our rooms contain Foxtel, free wi-fi (available at check-in), and we also provide a complimentary continental breakfast for each guest. 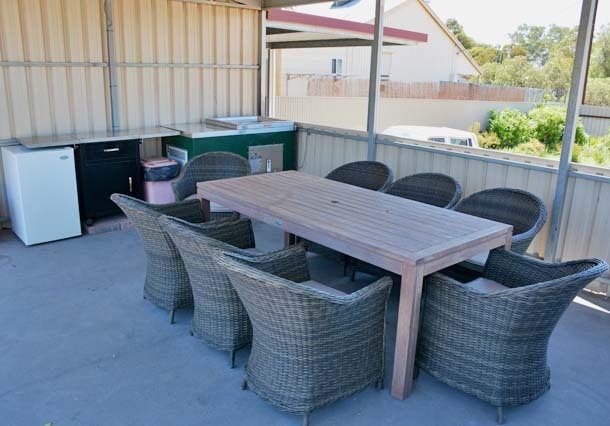 On site we have a sheltered BBQ area, after-hours key safe, parking in front of rooms plus extra parking at rear, and if you need a Laundromat there is one located just around the corner. 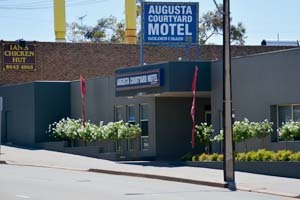 Whether it’s a short stay or long visit, the Augusta Courtyard Motel is the perfect base for your time in Port Augusta.